SAVE $45.99 on your order today! 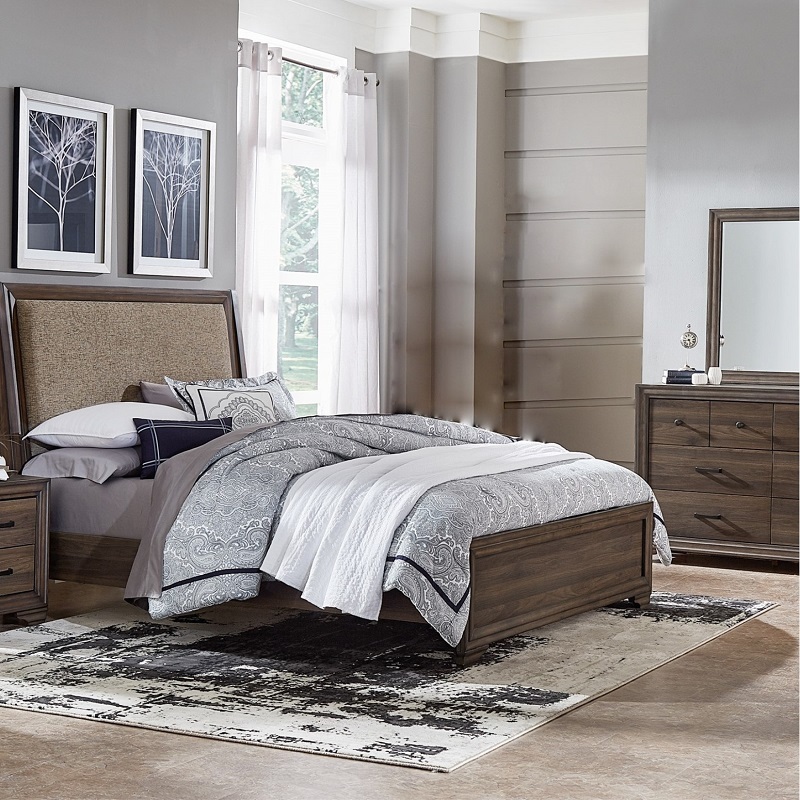 The Liberty Furniture Queen Bedroom Set exudes earthy elegance. It features a lofty, tufted tweed upholstered headboard and a warm, brown finish that will fit right in with a variety of color schemes. Set includes queen bed, mirrored dresser and nightstand.